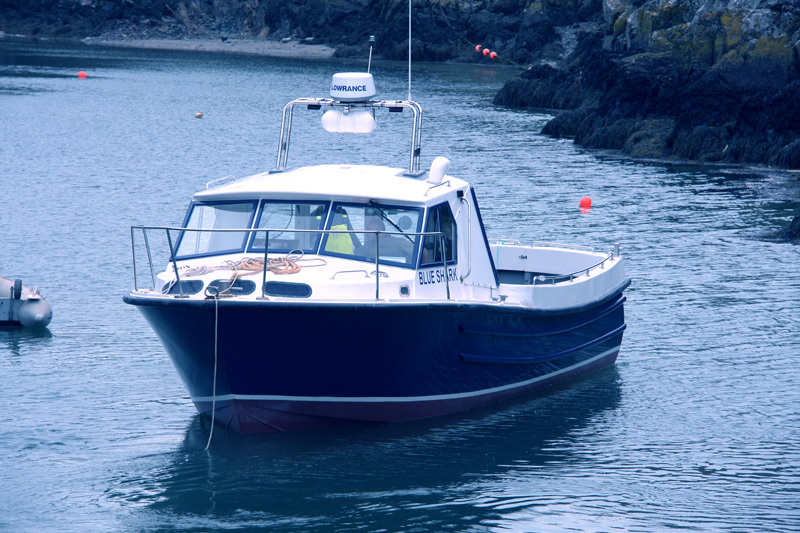 Blue Shark is a 33ft Sport Fisher built to very high standards by Lochin Marine, who produce boats renowned their exceptional sea keeping qualities, even in bad weather. Blue Shark is powered by a 420hp Iveco engine, which enables a sprint speed of 25 knots and a service speed of 18 knots. She has a shortened wheelhouse giving extra deck space and making her the ideal platform for fishing or diving. 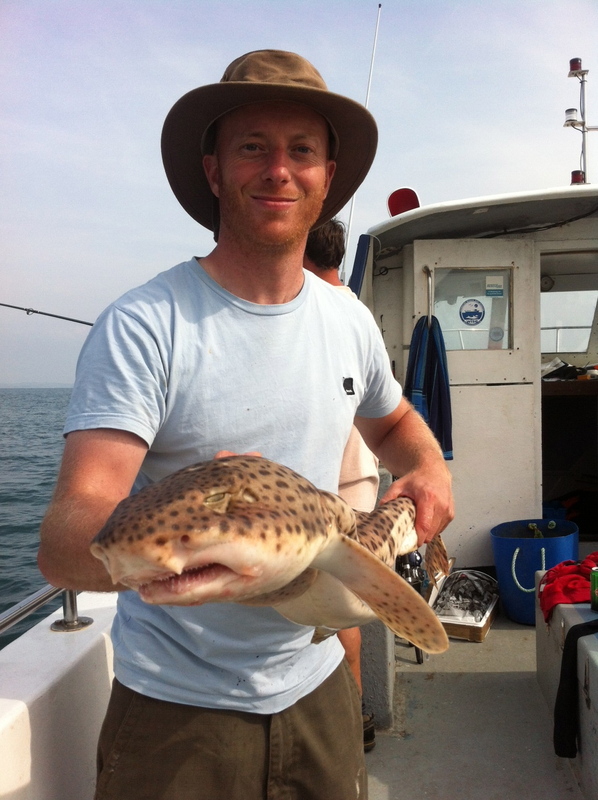 There is also a large stern door for diver access and to help land the larger species caught such as sharks. The vessel is fitted with state of the art Lowrance electronics, including 4G radar and the latest charts for safety of navigation. There is also CHIRP echo sounder and down scan sonar in order to help us find those fish holding structures and ultimately the fish.